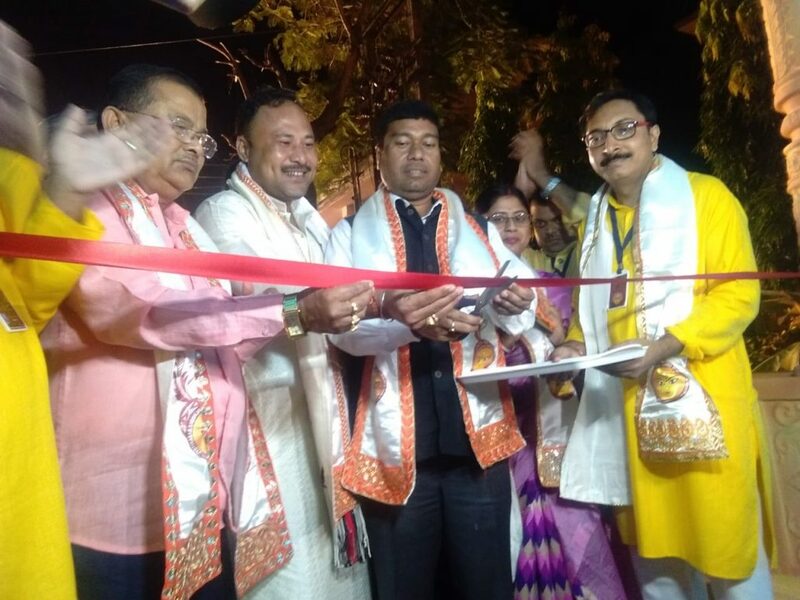 The inauguration of the Durga Puja pandal organized by Jyotinagar Sarbajanik Shree Durga Puja Samity was done ceremonially on Sunday at a function held at the Puja Pandal premises in Dibrugarh of Assam. Dibrugarh MP Rameswar Teli attended the function as the chief guest whereas Dibrugarh MLA Prasanta Phukan, Moran MLA Chakradhar Gogoi, Tingkhong MLA Bimal Bora, Dibrugarh Deputy Commissioner C Laya Madduri, CO of 9th Rajputana Rifles Col Mukesh Pandey, DIG of CRPF V S Sharma, CO of 171Bn CRPF Col P K Singh, Dibrugarh municipal board chairperson Soma Chakraborty and Additional SP Surajit Singh Panesar were present in the function as guests of honour. The puja committee is celebrating it’s silver jubilee year this year. A souvenir named ‘Jyoti’ prepared by the committee to mark the 25th year was released by Dibrugarh MLA Prasanta Phukan. All the guests present on the occasion praised the committee for the arrangements maintaining cleaniness and discipline. This year the theme of the Jyotinagar puja pandal is based on Ramayana. Lighting artists from Chandannagar in West Bengal have illuminated the entire area. Bagpiper band from Punjab and Dhak party from Coochbehar will perform during the puja. A cultural programme presented by the local children and women was held on Sunday after the formal inauguration of the puja pandal. The puja committee has arranged four separate parking places for vehicles in nearby areas for the smooth movement of devotees.